Bistrot is a new fully responsive and parallax WYSIWYG Web builder template created for Hotels & Restaurants, Food & Catering. This template comes with unlimited variations as well as endless possibilities to create any kind of professional website. - Cookies and privacy banner. May have been nice.....but seeing that your own site is not made with WYSIWYG Web Builder defeats the purpose of buying a template from you as your own is built with WP . I wrote html web site because in italy WYSIWYG Web Builder is not famous. All my html web site are WYSIWYG Web Builder themes. Last edited by dado on Sun Dec 24, 2017 7:44 am, edited 1 time in total. 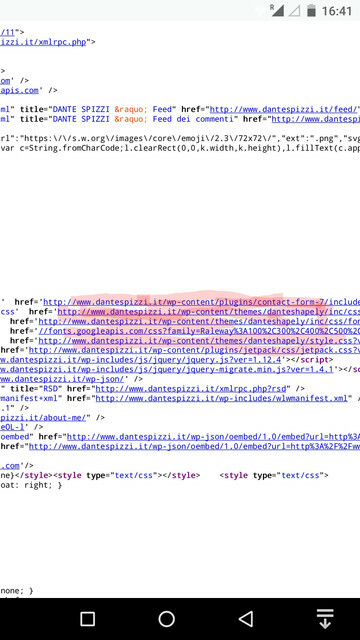 Sorry but this site dantespizzi was not made with WWB it is a WP (w*rd p*e**) theme and can be seen by its source code. I develop W.rd.pr.ss website and html/php Web builder web site. I'm developing a WYSIWYG Web Builder CMS. I don't write that any my web sites are made with WYSIWYG Web Builder. I wrote that Bistrot is a WYSIWYG Web Builder theme. I have not written that www.dante.spizzi.it is a WYSIWYG Web Builder website. Other WYSIWYG Web Builder websites will be ready in the coming days. I think that WYSIWYG Web Builder is a good software.